From the man who created weight loss television comes a no-holds-barred guide to shedding the pounds for good, using the same problem-solving and motivational skills used so successfully with reality show contestants. NOW a TV show on Z-Living Channel!! Every fat person (yes, “fat person”—there’ll be no sugarcoating here) knows that you need to move more and eat less to shed pounds. Not exactly rocket science. Yet that simple formula doesn’t get to the root of what makes someone top out at 500 pounds, or sometimes just carry an extra fifty. The big fat truth is that the secret to weight loss is what’s in your head. Viewers of Extreme Weight Loss, The Biggest Loser, The Revolution and other transformational shows have seen the “technicians”—the trainers, the nutritionists, the doctors, and other health pros who appear on-screen—but they’ve never seen the heart and soul behind these amazing makeovers. That would be JD Roth, the behind-the-scenes wizard who created weight loss television. Intimately involved in casting the shows’ contestants, he’s the guy whose picture they tape onto their elliptical trainers and angrily scream at each night—then hug out of gratitude the next morning. He’s the guy who holds them when they cry and the one who tells them they need to get back on the treadmill even though they’re crying. JD is the tough-love dad for the contestants on these shows—love being the operative word. Because it’s not just TV to JD; he’s on a mission to change your life. 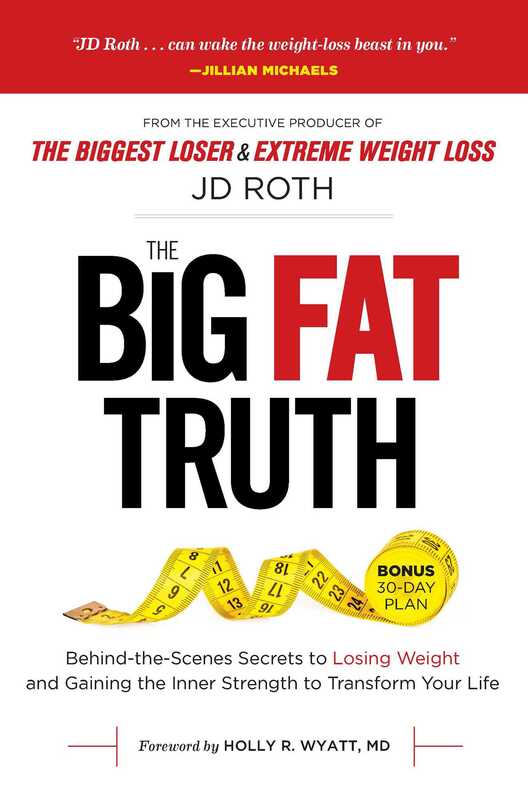 In The Big Fat Truth, JD will help you unearth the real reasons you’re overweight (and it’s not because you love food!). Then he’ll show you how to create your own reality show and shake up your life to do the impossible. Included throughout are inspiring stories, advice, and before-and-after photos from people JD has helped to lose weight (both on camera and off), along with quick tips for how to stay accountable and a 30-day plan for putting this advice into action.